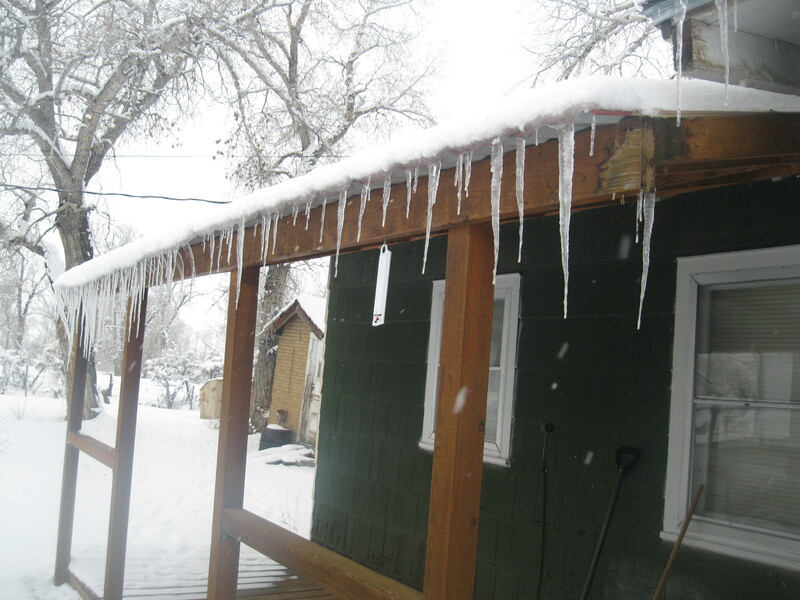 So many icicles on our house. Hello everyone! This week was super crazy, so I’ll just jump right in and tell you about it! Last preparation day was good, nothing really too notable that I remember. We shopped and played basketball about like usual. 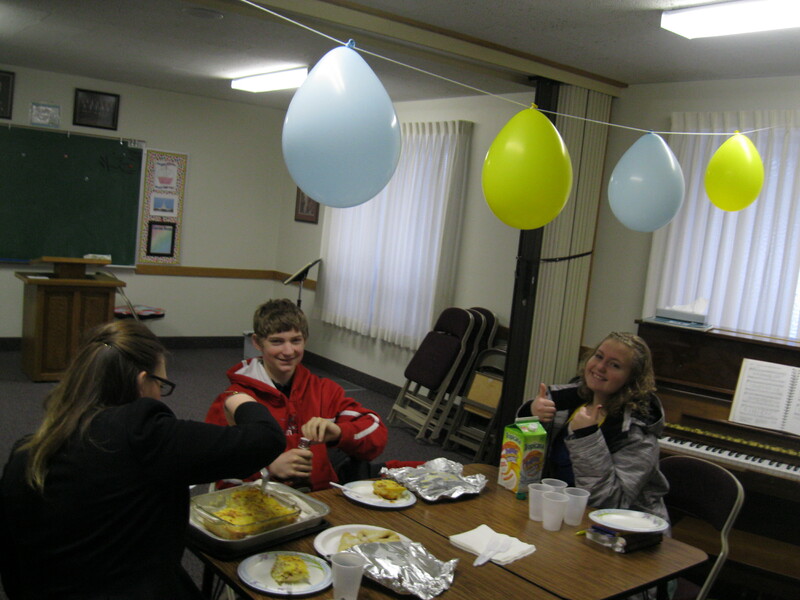 On Tuesday, the family whose kids we teach seminary threw my companion a little goodbye party at Seminary. Food, balloons, and fun- what more could we want? Our good bye party at seminary. Right after that we drove to Cody and had our District Meeting like usual. We had to stick around afterwards for a little bit because we all had interviews with the Mission President. President Mecham is such an inspired man! He gave me a lot of good advice and counsel regarding the area and my own spiritual growth. Recently, he challenged the missionaries to go out tracting more. During my interview I expressed my concerns about that for Meeteetse… so here’s why. Since Meeteetse used to be a “shared” area, missionaries would come once a month, tract, and then leave. So the missionaries here got a really bad rep about just being door-knockers. I sensed that a lot when I got here, so for the past 4 months we have been trying to change that image. And we really have! 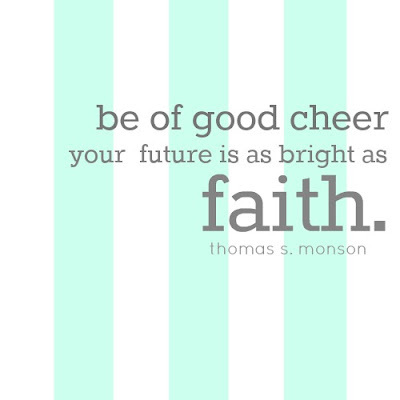 It’s amazing to see the difference in attitude towards the missionaries lately- they really love us! So I when I told President Mecham about all that, he completely understood. He invited us to occasionally tract by the Spirit, which means to only knock on doors that we felt prompted to. Meeteetse is kind of a unique area in the mission, and I love serving here! Wednesday morning my companion and I left early and drove up to Billings for her flight. It was so sad to see her leave! I love her so much- I am so grateful that we got to be companions. So who’s my new companion, you might ask? 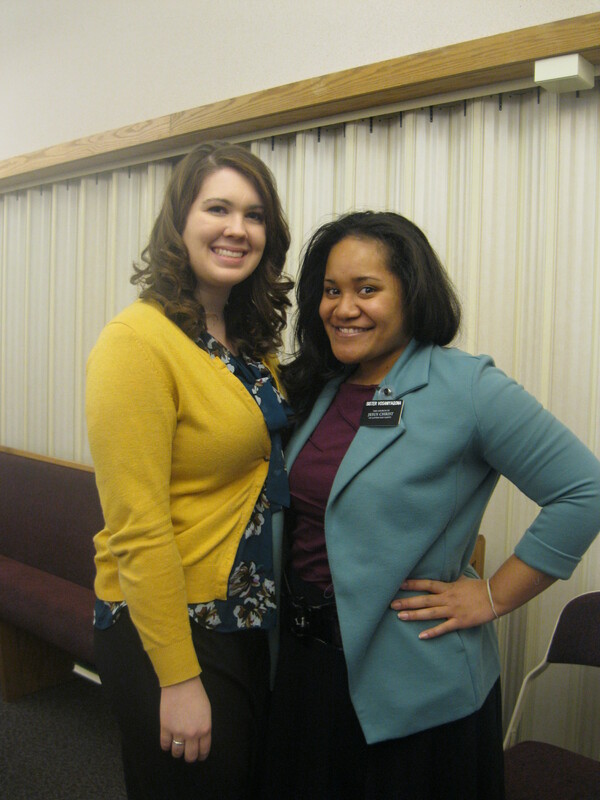 Well, it’s the Temple Square sister that came to replace her! Sister G literally got on the plane that my new companion had just gotten off of. She’s from Oakland, California, but her parents are from Tonga and Fiji. She goes by Sister V, since most people can’t say her name. Me and my new companion! I’m senior companion, and I get to train her on being in a “normal” mission. I was a little nervous when I first found out, but it’s turned out great! 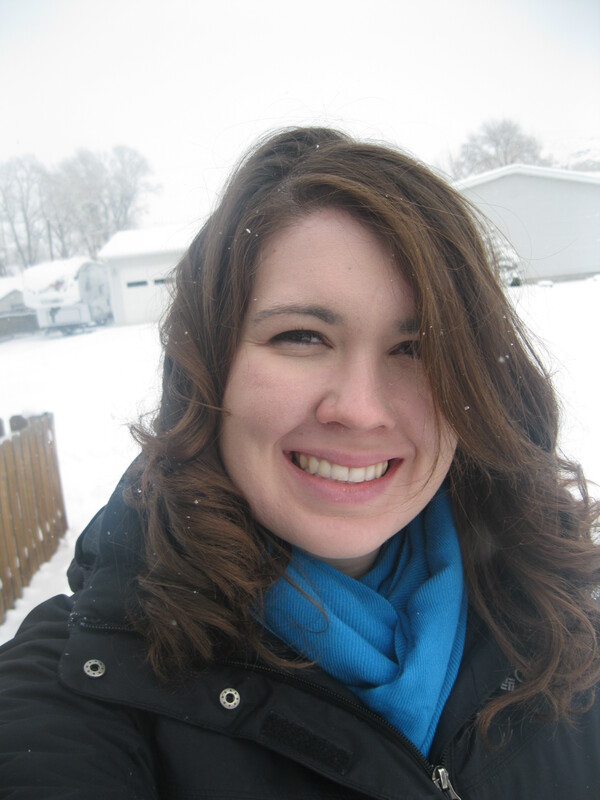 It’s weird- I haven’t had a companion yet that was originally assigned to the Montana Billings Mission! 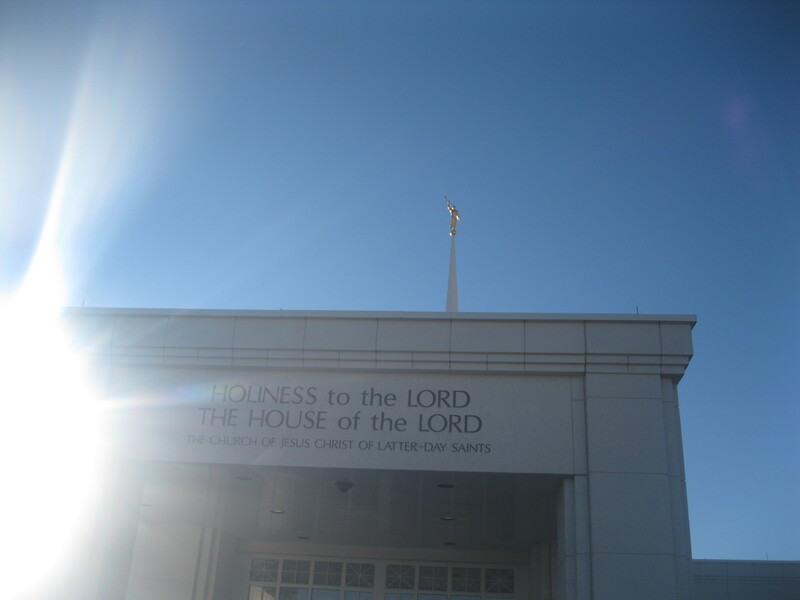 After we picked her up from the airport, we went to lunch with Sister Mecham and then we got to go to the Temple. So nice! On Sister V’s first night in Meeteetse, she got to eat deer meat. I told her after we left that it was deer, and she totally freaked out. It was hilarious! Goes with the territory. Starting last Sunday, my throat got a little sore. And then congestion came, and then coughing… I got a really bad cold. I almost completely lost my voice Wednesday through Saturday. We actually ended up having to stay in on Thursday because I was feeling pretty bad. But thankfully I am on the mend now!! I have kind of a residual cough today, but hopefully that will clear up in the next few days. My knee is doing a little better I think. I can bend it all the way now, but it’s still tender to the touch sometimes. Hmmm, what else happened this week? Well, we taught a decent amount of lessons still, even with having to miss two entire days because of Billings and infirmity (haha). And what would be my letter without a cat story? So lately the stray cats near our house have begun breaking the law of chastity, and it is so annoying. Seriously, we wake up in the middle of the night and have to go outside and chase them away!. Oh, and it’s been snowing ALL weekend! Non-stop pretty much. It’s accumulated about 7-8 inches I think. It’s been really pretty to watch! Well, that’s about it for me this week! Transfer calls are this Sunday, but I should be safe from a transfer. Have a great week! !